Clinical negligence comes in many different forms from a misdiagnosis to pain caused by surgical error. If errors in your medical care have caused you to be injured or harmed, then you may be entitled to compensation for clinical negligence. In order to win your case you will need to prove that you have been mistreated or that the treatment you received was below accept standards and led to your suffering. Here we will explain why it’s beneficial to hire a clinical negligence lawyer to assist you in making your claim. One of the main benefits of hiring a clinical negligence lawyer is that they will have years of experience working on similar cases. Their expert knowledge will stand them in good stead for winning your case and helping you get the compensation you deserve. Many clinical negligence lawyers offer prospective clients free legal advice to check that they’ve definitely got a case. In this session you will simply speak with your lawyer about what’s happened to you and they will be able to decide whether or not you stand a good chance of getting compensation. 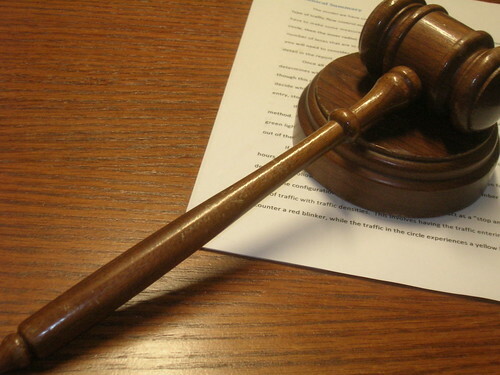 Providing you have a case, they will start the legal proceedings on your behalf. This is likely to involve gathering evidence from witnesses and getting a copy of your medical report. If you’ve suffered harm or an injury as a result of clinical negligence, it is very likely that you’re not going to feel up to organising your compensation case. This is why it’s beneficial to hire a clinical negligence lawyer to do it for you. They will do all of the legwork on your behalf, so you don’t feel the pressure. As well as providing you with legal advice, they’ll be there to offer support to help make the process as easy as possible for you. If someone has done something to hurt you, whether intentionally or not, they’re probably going to be the last person you want to speak to. The good news is that if you hire a clinical negligence lawyer, you won’t have to deal with any correspondence from the defendant, their insurance company or their lawyer. Your lawyer will deal with all correspondence on your behalf so you can concentrate on getting better. Most clinical negligence lawyers work on a no-win-no-fee basis. When it comes to hiring a lawyer for your case, it is highly recommended that you choose someone that specialises in clinical negligence cases. Not only will they have better knowledge of the clinical negligence claims process but also likely to work on a no-win-no-fee basis. This means that if they don’t win your case for you, they will not be able to ask you for a single penny. You can have the peace of mind that your lawyer will do everything within their power to win your case because it’s in their best interest to do so. Now you know the benefits of hiring a clinical negligence lawyer, you’re probably ready to proceed with your claim. Before you do, it’s important to make sure that it is less than three years since you experienced the clinical negligence or discovered your injury as a result of it. You also need to make sure you keep a record of your injuries and any financial losses you have incurred as a result of clinical negligence. This will help to determine how much compensation you can claim for. Next article Is There A Limit To The Amount Of Compensation I Can Claim?